Bring your lawn chair and get ready for a fun family night on the big field! Dinner will be served at 6pm, followed by games and then a movie, Walt Disney’s “Moana,” at dusk. Moana is an animated epic adventure about a spirited teen who sets sail on a daring mission. 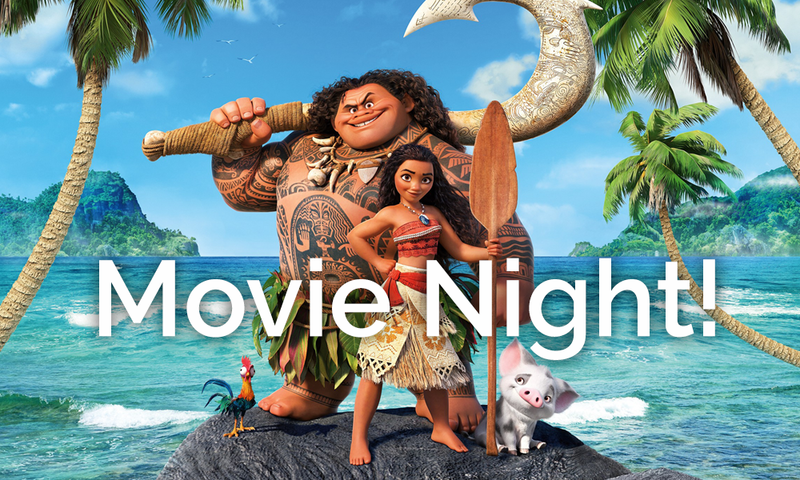 During her journey, Moana (Auli‘i Cravalho) meets the once mighty demigod Maui (Dwayne Johnson), and together they cross the ocean on a fun-filled, action-packed voyage, encountering enormous sea creatures, breathtaking underworlds and impossible odds. Along the way, Moana discovers the one thing she’s always sought: her own identity.